The factory Bluetooth option in the Soul is well-integrated yet simple; next to aftermarket systems, it's your better option. The 2011 Kia Soul is fashion-forward and fun-to-drive—and unlike most of its urban-wagon rivals, it's just as practical as it looks. The 2011 Kia Soul has brought an entirely new attitude to the small-car class—and its design nearly outsmarts the bricklike Scion xB and the oddity that is the Nissan Cube. While once upon a time, Kia's products were derivative, the Soul is now the one likely to be copied; it's a trendsetting, stylish fou-door wagon with a sharp, roomy, and well-fitted cabin, as well as a comprehensive list of safety and fun features. 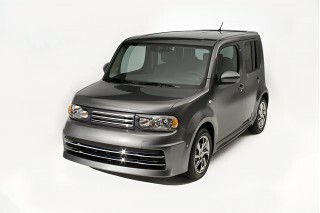 The 2011 Soul is a fun take on the now-popular "urban wagon" theme; it wins on styling, hands-down. The reverse boomerang of the rear end reminds some of the In-N-Out burger logo; to others, it's simply a crisp, rakish shape with a little bit of busy detailing up front. The front wears the new Kia corporate grille and friendly-feeling headlamps; the rear is less tidy, but the square, tall taillamps frame a light and lofty hatchback that's nearly vertical—a nice punctuation to the Soul's casual leaning stance. Inside, the Soul isn't nearly as groundbreaking. 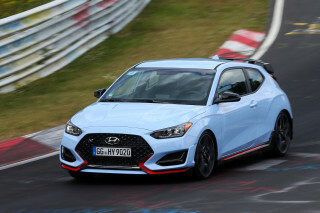 It's a refined blend of round shapes and embossed plastics—a slightly hipper version of the small-car standard, but not stooping to novelty like a VW Beetle—and a variety of colors and textures if you like, from red plastic covering the dash to houndstooth-check material swathing the seats. 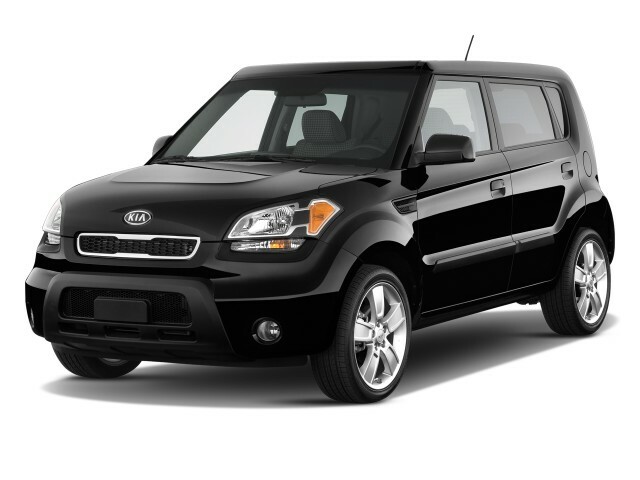 You have a choice between two different engines, either with automatic or manual transmissions, in the 2011 Kia Soul. Most Soul wagons will sport a four-cylinder engine with 2.0 liters of displacement, 142 horsepower, and 137 pound-feet of torque; but there's also a 1.6-liter four-cylinder making 122 horsepower and 115 pound-feet of torque. Either way, the powertrain is hardly the stuff of dreams, but it manages to propel the 2,800-pound Soul quickly enough, thanks to well-chosen gear ratios—even if having four speeds means they're really far apart. All Souls ride atop a conventional MacPherson strut front and torsion-beam rear suspension, and they have four-wheel disc brakes. Base and mid-line Souls wear 15- and 16-inch wheels. The Soul Sport leads the performance pack with 18-inch wheels and different suspension tuning. Across the board, handling is as tidy as any compact's, though most testers find that the 18-inch wheels on the Sport make the ride less comfortable on city streets. The boxy exterior of the 2011 Kia Soul promises a versatile, roomy, almost van-like interior, and it delivers on that promise—with interior space for five (or four adults) or, with the back seats folded forward, some very impressive cargo space. In front, the driver sits quite upright, and finds easy-to-use controls at hand and cheery gauges framed by the steering wheel—which is not the case with the Scion, for example. Knee and legroom are good, seat comfort is good, and headroom is great—even in the backseat, where the middle passenger may be compressed for shoulder room. The second-row seats fold forward to boost cargo area over 53 cubic feet, and the cargo floor lifts to expose more storage area; an optional compressed-foam cargo organizer also fits in there. The Soul also has a two-tier glove box capable of holding a 15-inch laptop, a center console, an iPod-sized bin atop its center stack, and lots of cup holders. Dimensionally it checks in at 161.6 inches overall, 70.3 inches wide, 63.4 inches high, and it has a 100.4-inch wheelbase. For a small car—especially one with such a low price—the 2011 Kia Soul comes with a very extensive (and complete) set of safety equipment. Front side and side-curtain airbags are included, along with four-wheel anti-lock disc brakes and electronic stability control. The front seats also have active head restraints, which help curb whiplash. It's received excellent safety ratings from both major agencies as well. The Car Connection has found the combination of cavernous cargo capacity, and simple switchgear with a satisfying, quality feel, to help the Soul feel even better than the sum of its parts. The awesome-sounding (optional) 315-watt sound system and well-integrated Bluetooth add to that impression. Options on various Soul models include a sunroof, that sound-system upgrade, and more than 60 accessories, from styling add-ons to interior trim. A navigation system isn't offered, nor is a hard-drive-based audio system, a notable omission. Two different Special Edition Soul models will be offered in the 2011 model year; both will be based on the Soul+ trim and include automatic climate control plus unique exterior styling and special accessories. You don't have to sell your Soul to anonymity if you're on a tight budget. While a number of boxy, small vehicles show restraint in their designs, the Kia Soul brings, at least from the outside, some of the quirkiness of a concept car to the driveway. 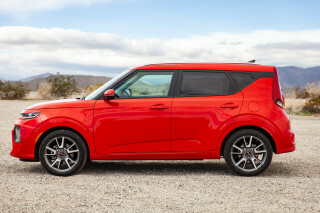 The 2011 Soul is a fun take on the now-popular "urban wagon" theme; it wins on styling, hands-down. The reverse boomerang of the rear end reminds some of the In-N-Out burger logo; to others, it's simply a crisp, rakish shape with a little bit of busy detailing up front. The front wears the new Kia corporate grille and friendly-feeling headlamps; the rear is less tidy, but the square, tall taillamps frame a light and lofty hatchback that's nearly vertical—a nice punctuation to the Soul's casual leaning stance. Inside, the Soul isn't nearly as groundbreaking. It's a refined blend of round shapes and embossed plastics—a slightly hipper version of the small-car standard, but not stooping to novelty like a VW Beetle—and a variety of colors and textures if you like, from red plastic covering the dash to houndstooth-check material swathing the seats. The 2011 Kia Soul is fun to drive, but not fast. You have a choice between two different engines, either with automatic or manual transmissions, in the 2011 Kia Soul. Most Soul wagons will sport a four-cylinder engine with 2.0 liters of displacement, 142 horsepower, and 137 pound-feet of torque; but there's also a 1.6-liter four-cylinder making 122 horsepower and 115 pound-feet of torque. The larger engine is the standard powertrain on the three top Soul models: the typographically challenging Soul+, Soul!, and Soul Sport. But don't feel that you need to get the larger one; there isn't much performance difference between the two. The manual gearbox in the Soul is light and quite precise, but throws are long and clutch coordination leaves something to be desired. Soul models with the automatic transmission are surprisingly responsive and agreeable—likely because its four speeds seem very well chosen for the engine's torque curve. Moderate acceleration comes with an engine note that develops a bit of thrum at higher highway speeds. It's hardly the stuff of dreams, but the powertrain manages to propel the 2,800-pound Soul quickly enough, thanks to well-chosen gear ratios—even if having four speeds means they're really far apart. But the whole setup has been calibrated well; there's no indecision, and at mid-throttle the transmission seems happy to stay in a higher gear and take advantage of all the mid-range torque the engine has. Yep, full-throttle downshifts earn a slight bit of boominess, but it's momentary, not a constant cruising-speed issue, even at 85 mph. All Souls ride atop a conventional MacPherson strut front and torsion-beam rear suspension, and they have four-wheel disc brakes. Base and mid-line Souls wear 15- and 16-inch wheels. The Soul Sport leads the performance pack with 18-inch wheels and different suspension tuning. Across the board, handling is as tidy as any compact's, though most testers find that the 18-inch wheels on the Sport make the ride less comfortable on city streets. All other aspects of the driving experience are confidence-inspiring, even a little bit sporty. The steering has a rather quick ratio but a hefty, secure feel at speed, which helps make the Soul feel nimble but surefooted. The 2011 Kia Soul delivers on all the versatility and spaciousness that its boxy design suggests, with surprisingly good comfort; road noise is the only exception. The boxy exterior of the 2011 Kia Soul promises a versatile, roomy, almost van-like interior, and it delivers on that promise—with interior space for five (or four adults) or, with the back seats folded forward, some very impressive cargo space. In front, the driver sits quite upright, and finds easy-to-use controls at hand and cheery gauges framed by the steering wheel—which is not the case with the Scion, for example. Knee and legroom are good, seat comfort is good, and headroom is great—even in the backseat, where the middle passenger may be compressed for shoulder room. The second-row seats fold forward to boost cargo area over 53 cubic feet, and the cargo floor lifts to expose more storage area; an optional compressed-foam cargo organizer also fits in there. The Soul also has a two-tier glove box capable of holding a 15-inch laptop, a center console, an iPod-sized bin atop its center stack, and lots of cup holders. Dimensionally it checks in at 161.6 inches overall, 70.3 inches wide, 63.4 inches high, and it has a 100.4-inch wheelbase. Interior materials in the Soul are better than you'd expect for a vehicle that starts below $15k. There are a lot of hard plastics inside, but they're nicely surfaced, and trim and panels all fit tightly. The ride of the 2011 Soul is definitely on the soft side, but just firm enough to instill confidence around tight freeway ramps and for quick lane changes. Our only gripe is that the Soul becomes bouncy on some types of freeway surfaces, due probably to its rather short wheelbase, and there can be quite a lot of road noise at higher speeds, depending on the surface. The 2011 Kia Soul has outstanding safety credentials—especially when compared to other inexpensive small vehicles. For a small car—especially one with such a low price—the 2011 Kia Soul comes with a very extensive (and complete) set of safety equipment. Front side and side-curtain airbags are included, along with four-wheel anti-lock disc brakes and electronic stability control. The front seats also have active head restraints, which help curb whiplash. In new federal safety tests, administered by NHTSA, the 2011 Kia Soul achieves four-star frontal and five-star side protection, with a respectable four-star overall score. And in Insurance Institute for Highway Safety (IIHS) tests, the Soul has top 'good' results in every category. 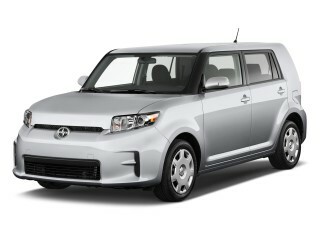 In addition, the 2011 Kia Soul gets a top five-star rating from the IIHS in its new side pole test. The Soul has a pretty thick rear pillar, which might lead some to think that outward visibility is difficult; but for most drivers, it's not; most drivers have found that the Soul's boxy roofline allows a better view out than in most swoopier vehicles. 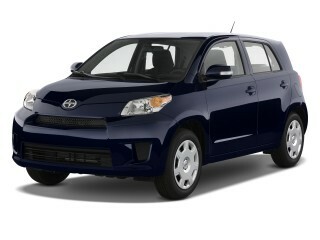 With the 2011 Kia Soul, you get a lot of features for surprisingly little money. The 2011 Kia Soul is marketed much like vehicles from Toyota's Scion brand—that is, with some room for accessories or customization. But even if you skip the add-ons, the the base Soul Kia is no featureless economy vehicle. The Soul also handily beats its older competitors in standard and optional features, with only the Scion xB nearing its offerings. Standard features on the base Soul include tilt steering, air conditioning, Sirius Satellite Radio (the first three months of service are free), USB and auxiliary inputs for music players, and power windows. 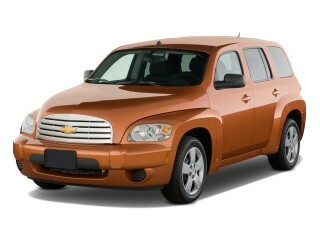 Lacking on all models are auto-up power windows and telescoping steering. The Soul+ adds cruise control, steering-wheel audio switches, Bluetooth connectivity, and dual 12V outlets. Next up is the Soul! gets a leather-wrapped steering wheel, a tan-and-houndstooth interior trim package, and a 315-watt audio system with speaker lighting, which illuminates according to music beat or "mood." At the top of the line is the $16,950 Soul Sport, which has the same features as the Soul! 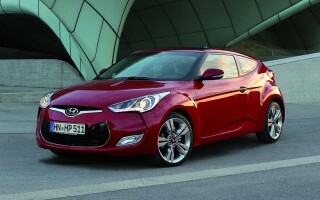 but adds 18-inch wheels, sport suspension, metal pedals, and a red-on-black interior scheme. The Car Connection has found the combination of cavernous cargo capacity, and simple switchgear with a satisfying, quality feel, to help the Soul feel even better than the sum of its parts. The awesome-sounding (optional) 315-watt sound system and well-integrated Bluetooth add to that impression. Options on various Soul models include a sunroof, that sound-system upgrade, and more than 60 accessories, from styling add-ons to interior trim. A navigation system isn't offered, nor is a hard-drive-based audio system, a notable omission. With good city fuel economy ratings, but unimpressive highway numbers, the 2011 Kia Soul isn't all that green for its small footprint. Although the Soul is just as fuel-efficient as most compact cars in the city, its highway fuel economy numbers aren't as impressive. Soul models with the 1.6-liter engine—whether they have the manual or automatic transmission—are rated at 26 mpg city, 31 highway. With the 2.0-liter engine, Soul models get 24/30. 2011 Kia Soul 5-Door Wagon Automatic ! What's up with KIA Soul's rims? ?